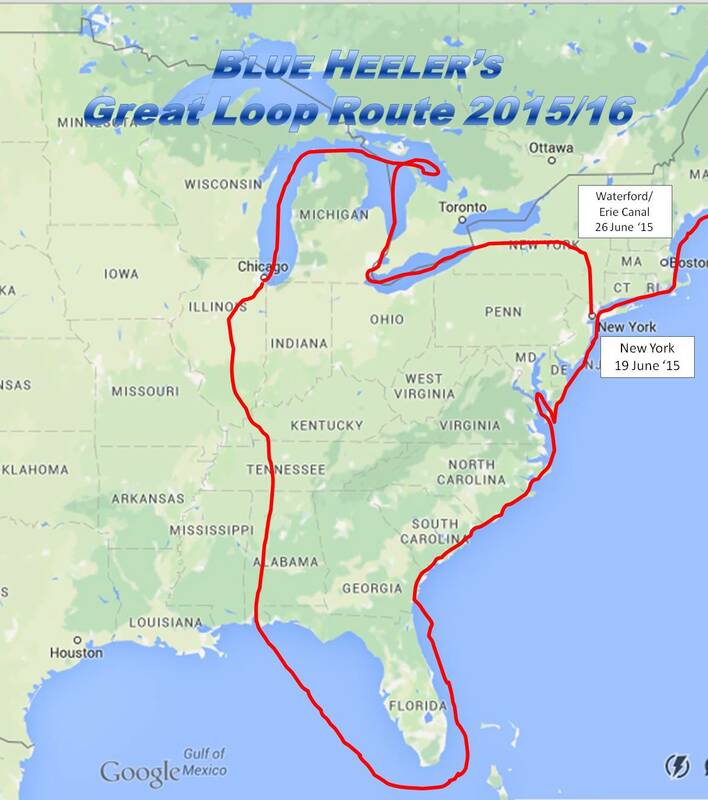 In June 2015, Blue Heeler began a journey with a difference. After sailing through Asia, across the Indian Ocean and Atlantic Ocean, the opportunity to travel through America’s Erie Canal into the Great Lakes and south to the Gulf of Mexico piqued our interest. But how does a yacht with a 2m keel and 15m mast navigate through locks and under bridges of a barge canal and travel through the heartland of America? Planning a trip such as this in a yacht is important as some places are inaccessible due to depth or height restrictions. There’s always the challenges of drought and flood affecting water levels. Travelling this way through the U.S. provides an interesting way of learning and understanding about this diverse country. There is a wealth of information about travelling along the Great Loop on the internet. Some of our favourite links, including our own contribution, are below.